We believe that, through education, children from around the world can maximize their personal potential through creative thought, focused attention, developing their self-confidence, and inspired teaching. Not every child lives in personal circumstances conducive to maximizing their potential. We aim to provide a substantial number of kits to children and schools in less advantaged areas of the world. Availing children of enhanced experiences to learn can only improve their chances for a better life. A better world is created through raising the circumstances of all people. 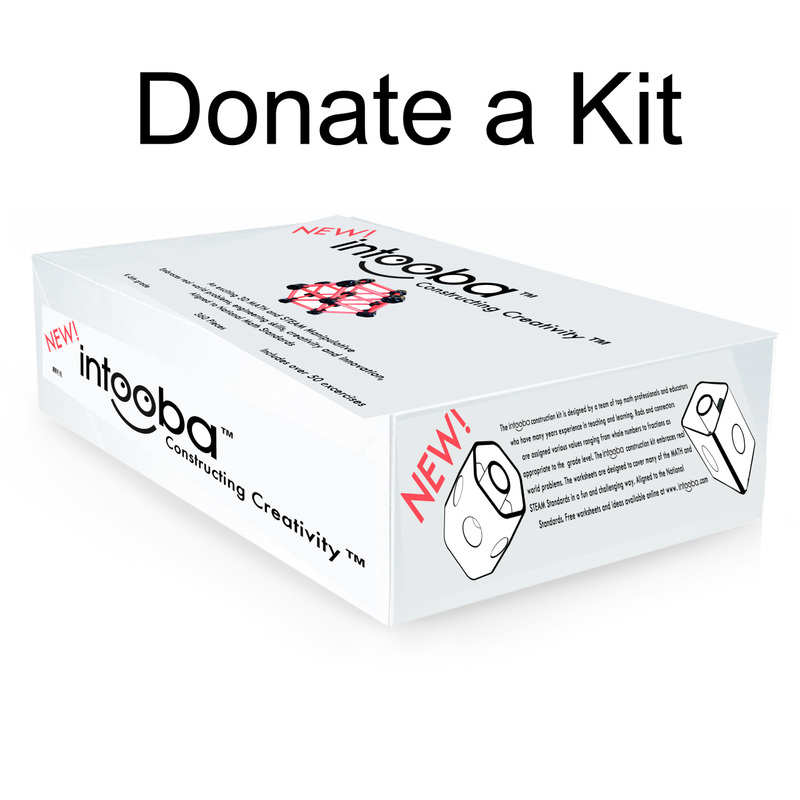 Donate a kit to a school. Please supply the name and address of the school and we will ship it directly to the school. By donating to a public school or a non-profit makes it tax deductible. 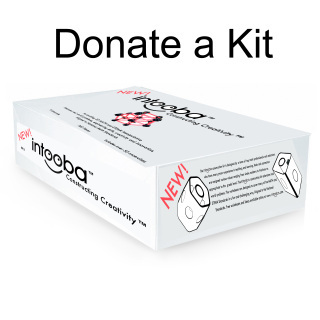 The Large Intooba Classroom Math/STEM Construction Kit is suitable for up to 15 students. Ideally two kits per classroom allows for creativity and more options when constructing and building. 100 Plus Teacher MATH and Engineering Exercice Book (K-6th grade).